James O’Claire or as we know him, “Crazy James”, Trick Shot Champion, is currently living in Beijing, China, working as a marketing and localization strategist and helping with translation for a gaming company. Crazy James gives us a breakdown on Chinese Paintball. James plays pump with us occasionally and he last joined us in December, right before he moved overseas, for the Bacci Mountain New Years Game. Over the last several months, while in Beijing, James hasn’t met any fellow paintballers but when his Co-Worker, Penny brought up paintball as a possible work excursion, most of his fellow employees were very willing to participate. James and his co-workers listen to the rules. James and co workers getting in uniform. (Stamp image is rear facing camera shot of James). James’ coworkers are standing in line to be armed and unleashed. His group used blowback spyders and Rap 4 AK-47 styles blowbacks. 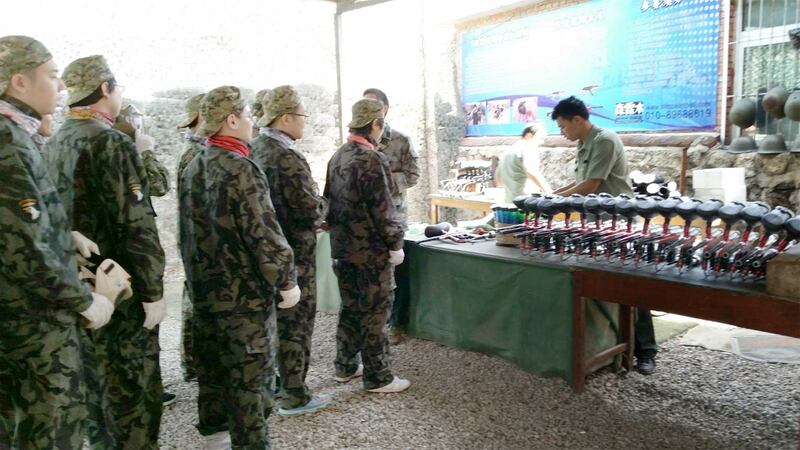 VM-68s (edit and Rap4 S2s) were also available but James’ group didn’t use them. The field James and his co-workers played at seemed to cater more to beginner players and wasn’t really structured for returning paintballers or a more competitive game. The field appears to be in a somewhat suburban area with either apartments or houses nearby and not very safe netting to shield them. 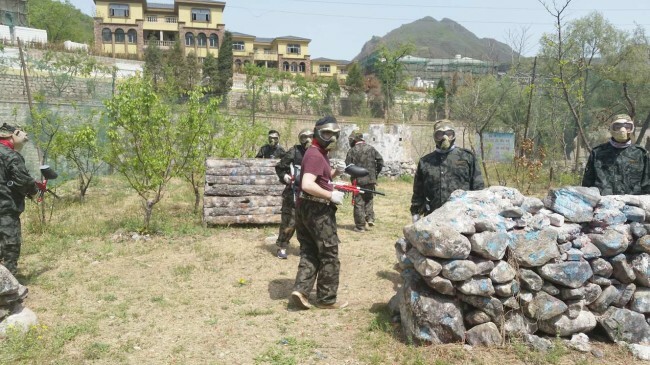 The field that James and his Coworkers played was named “Real Life CS” as in “Real Life CounterStrike, after the computer game” and catering more to a video game crowd, being run similar to a laser tag arena for a group that just wants some quick action. James didn’t see any groups at the field that appeared to be more experienced players. One of James’ coworker shows off his game face. I asked James if hopper hits counted and he told me he wasn’t really sure. “I don’t know if they mentioned that or not, haha, I just kept playing no matter what. I only got hit once or twice. And then kept playing. It seriously didn’t seem to matter at all, I think people just called themselves out if they didn’t want to get hit again.” Either James wasn’t listening or there really were no rules (I’m guessing the second). 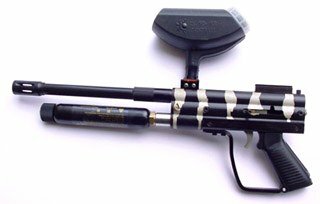 One of the most surprising elements of Crazy James’ Real Life CS experience was that the field actually had rentals which looked very much like VM-68s along with AK-47 Rap 4 blowbacks and some Kingman looking spyders. Edit: after a little more research I think these are a mix of VM-68 and Rap 4 S2s. •The non lone star m-16 grips. •The aluminum non engraved side rails on a few. •The clear (maybe once painted) or plated feedblocks. •The round piece of aluminum which is below the trigger (that the m-16 mounts to). Rap 4 S2 VM-68 Clone. Photo courtesy Paul “PW Paintball” Weber. 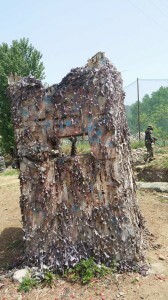 Above is a photo from Paul “PWPaintball” Weber which he had posted on Mcarterbrown several years back. 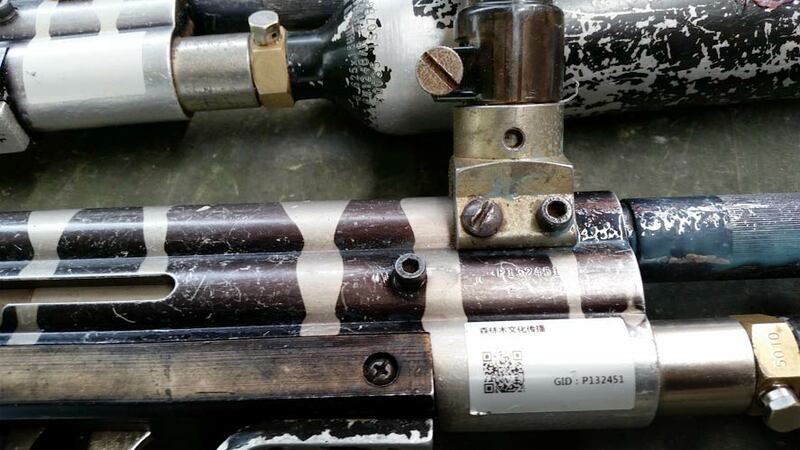 Paul writes, “I was told from the guy that I got it from that it is the first generation Chinese paintball gun.” I think Paul received this from his supplier when he was importing some 62 Caliber SMG paintballs. 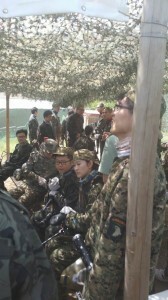 s-2 from QIAN WEI PAINTBALL SUPPORT / Rap 4. Image from the QIAN WEI PAINTBALL site. James said his group had a good time but wasn’t planning on returning. 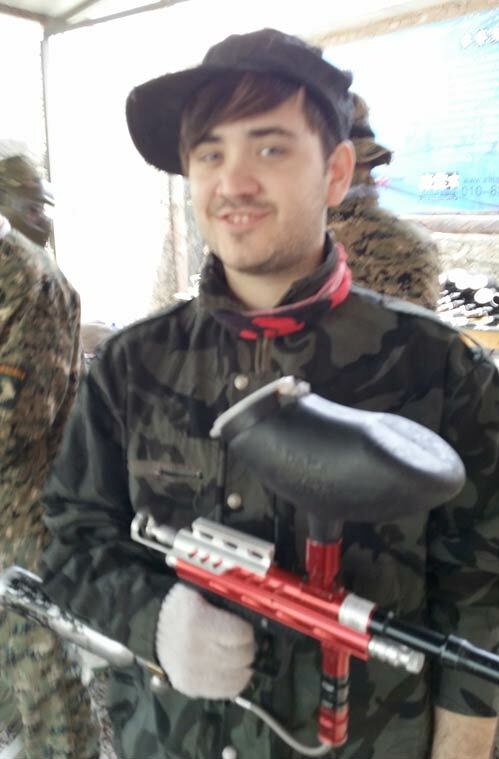 Hopefully Crazy James’ quest for a worthy Trick Shot Competitor will take him to a more structured paintball field where he can scout / challenge local talent to a Trick Shot off. And if that happens I’m hoping for a Trick Shot video. Thanks James! Below is some of the Question and Answer with James. 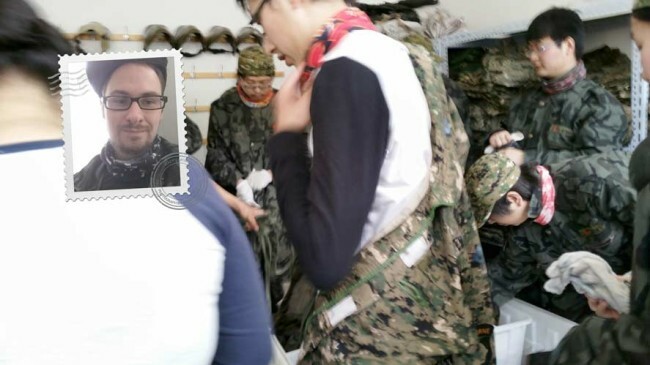 DB: Have you ever met a chinese paintballer before this? JC: No, and I still haven’t! I don’t think any of the people there played before. JC: At home it feels pretty low, apparently in China its 10000x better. So that was awesome. DB: Who suggested going paintballing in China? Was it just your co workers? JC: Penny, the girl in the video organized the trip, I think she’d seen it in movies. Everybody seemed pretty excited about the whole trip and really enjoyed dressing up and taking pictures. DB: Were their guys and girls? JC: Well, our group had maybe 5 girls and 15 guys, I don’t think anyone thought it was unique that girls where playing, they just happen to be the coworkers. 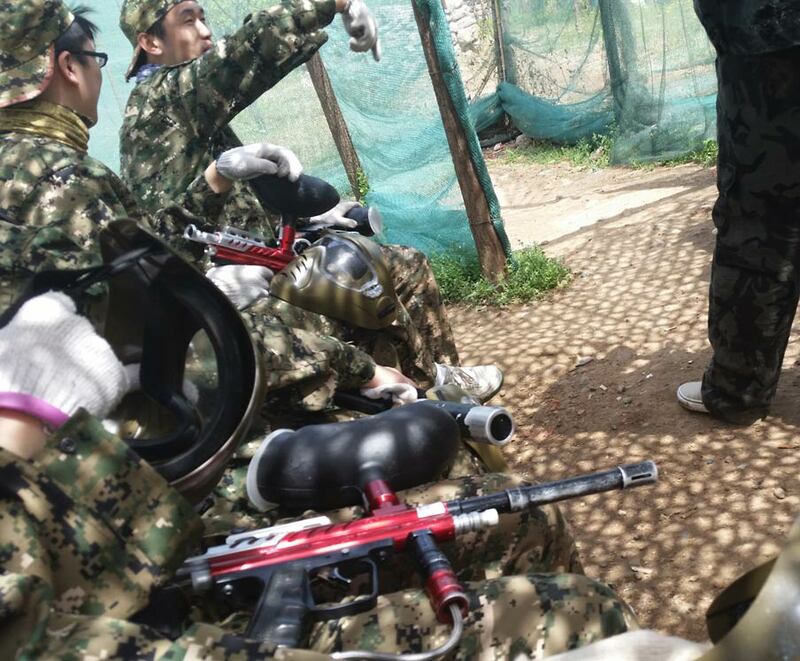 DB: How much did the paintball cost each? 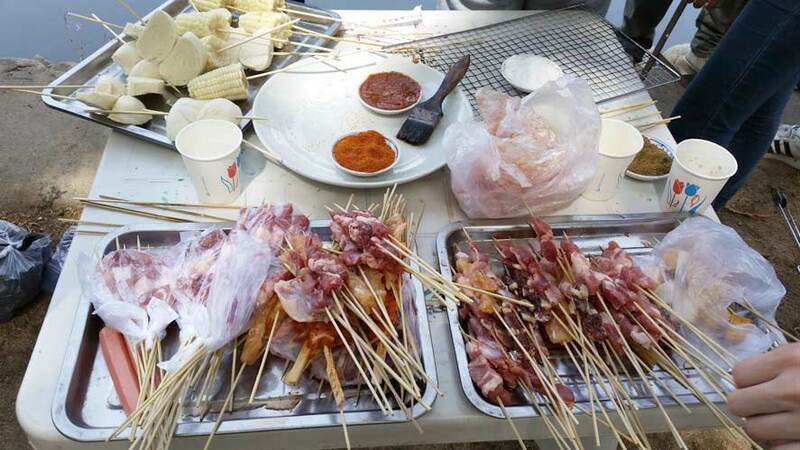 JC: 100RMB for 50 balls, around $15 per 100. DB: How much was the entrance fee? JC: That was paid for by the company, but I think it was like 200RMB or $30? This covered the first 150 balls I think? DB: What did they chrono graph the paintguns at? JC: I don’t know, but they didn’t hurt a lot when you were hit and kinda fell off in the distance. DB: Any signs that were printed in english that were worded funny? JC: Nope, this place was pretty simple, lots of chinese. Masks and equipment included Scott Masks. DB: The Paintgun with the tank underneath the barrel is a VM68 (EDIT: or Rap4 S2) and the other red marker is a blowback spyder like gun (your original paintgun was the brass eagle avenger I think). 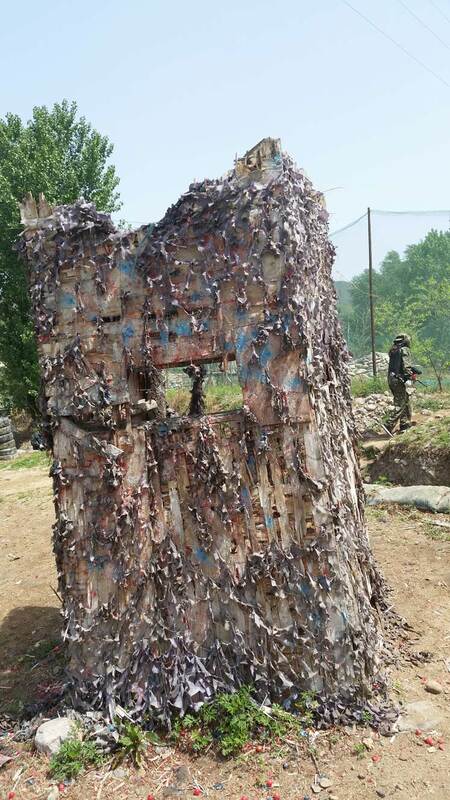 Was there anyone there playing with paintguns other than the field rental markers? JC: I don’t think anyone there was playing for something other than their first time. Those guns looked ratchet. 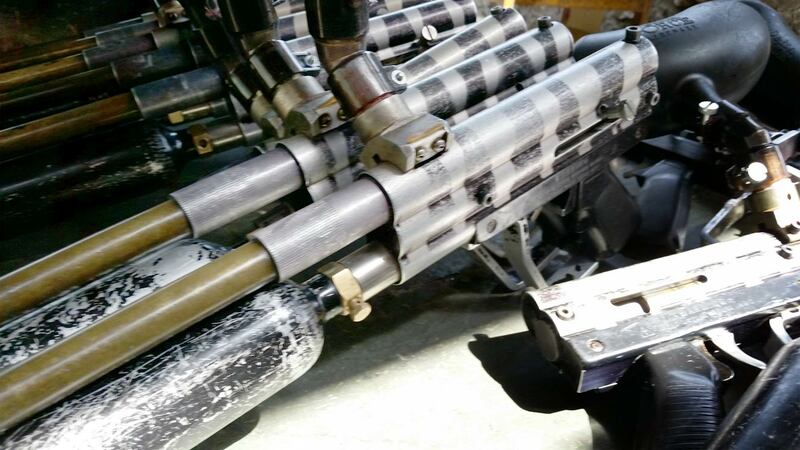 Even more funky were the AK-47 paintball guns, they looked super super heavy. 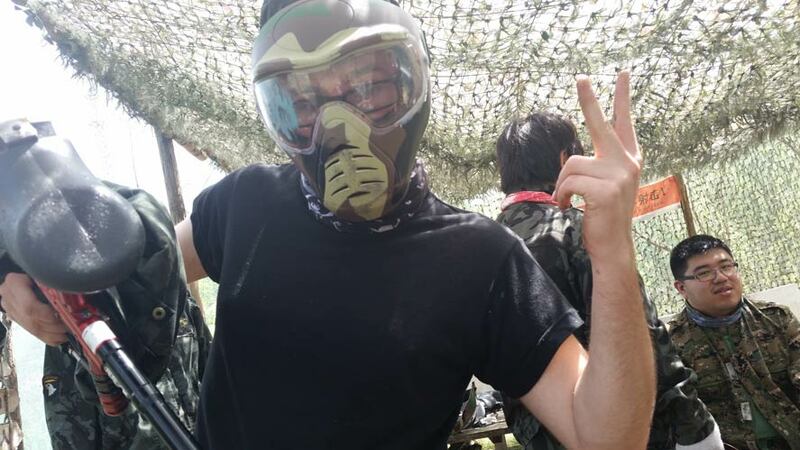 DB: How did your co workers/friends interpret the game of paintball? Ex. A survival game, a game of tag, a war simulation game, like a video game, fun, painful? JC: First, the place we were playing at is called “Real Life CS” as in Real Life CounterStrike, the computer game. I think a lot of paintball places are called this, so definitely you get a video game vibe from it, but I don’t think the rules were quite set-up for how I’d like to play paintball. If you get hit five times you should call yourself out. This mixed with no one having played before just meant that it was kinda a lawless game for ten minutes then they called off the round. I think everyone really enjoyed it, but it was definitely set up like a one time thing. When you go to an amusement park, you really enjoy the rides, but afterwards there’s not much reason to go back or go back often, unlike games whose strict rules and goals which fuel people’s competitive nature. Ultimately I think the setup, of this location, was much different than what I’ve played at before. DB: Have any of [your coworkers] paintballed since? DB: How does (or does it? ) 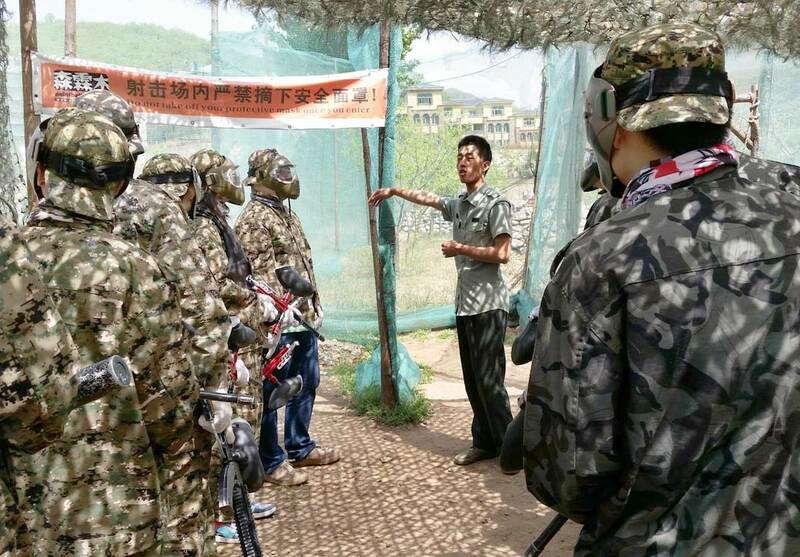 Chinese culture make first time paintballers feel different than in the US? JC: I think this specific location is not emblematic because they hadn’t set up a good structure for this being a game which has clearly defined rules, winners and losers. So as a first timer, I think everyone loved it and got awesome pictures, but wouldn’t want to play again. 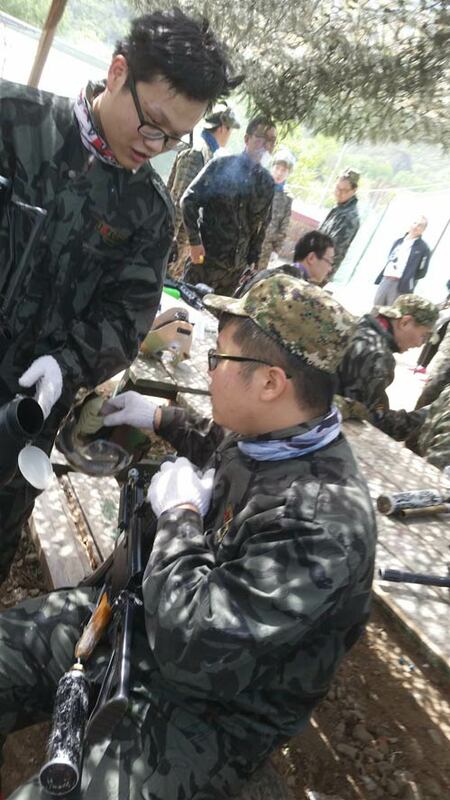 Lots of other people like playing airsoft and laser tag in China, and I would imagine both of those have much stronger sets of rules. P serial number on the side of the VM-68 indicates it surprisingly not a knock off (edit:) although some of the pictured VMs are likely the Rap 4 knockoffs, which I believe are named the S22. 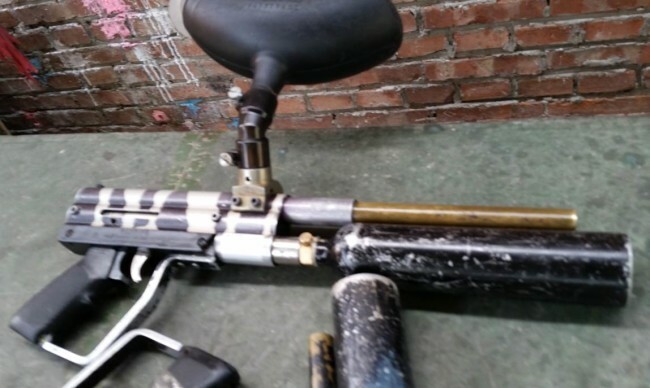 DB: Do you think the slow speed of the tank under mounted vm-68s semi automatoic was a good choice for the first time paintballer? JC: I can’t remember, but I don’t think we, or many, people played with that gun, I think most people used the spyder like guns. And the bosses got to use the AK-47, lol, which probably sucked for them. DB: How were the courses set up? 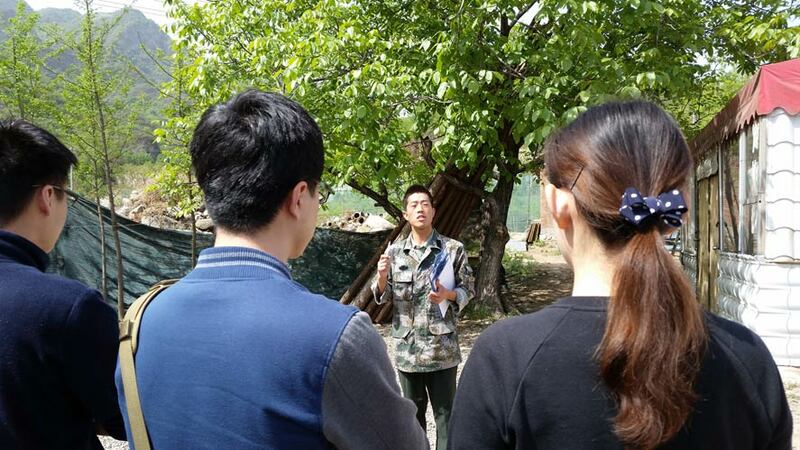 JC: Actually pretty cool because they had a lot of trenches in the main course. The bunkers were all very solid, concrete/bricks, I actually really liked the course, also it was so large that it could have been split into a couple more sections I think. 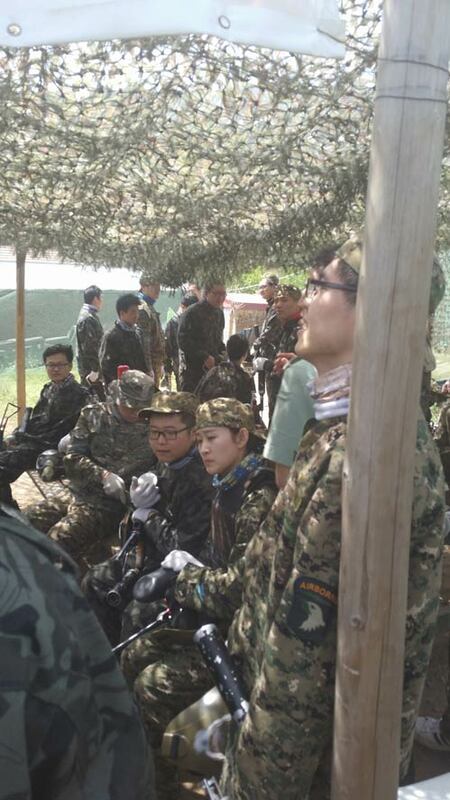 They had a second course that was not very fun, extremely narrow so you just kinda sit and shoot each other. DB: Were the courses set up differently than what you’ve played in the US? JC: More or less the same…. I only played a few games (the balls didn’t last long). DB: How were the games run? Differently than the us? JC: They said you start, then have like 10 minutes to waste paint, then they’d say it was over. Definitely not much strategy or anything explained to the players. 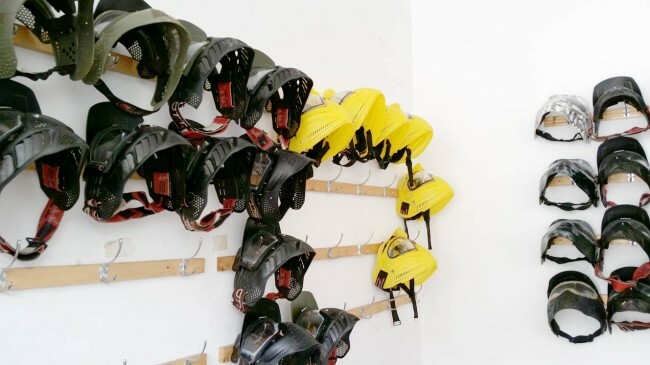 I talked to a few of the people working there and asked to interview them and they were not interested, so I don’ think they care much about paintball. DB: Did paintball breaking on your hopper and gun count as eliminations or just hits on your body? JC: I have no idea. I don’t know if they mentioned that or not, haha, I just kept playing no matter what. I only got hit once or twice. And then kept playing. It seriously didn’t seem to matter at all, I think people just called themselves out if they didn’t want to get hit again. One of the Spyder Blowbacks James’ crew used. DB: Did the masks feel safe enough? DB: Were there any other rules you haven’t played by before or that sounded odd? JC: I have no idea, they dressed us up in like these military garb, and made us stand ‘at attention’ (not very strict, people were laughing and stuff) then the guy talked for like five or ten minutes and we signed waivers. I only followed like 10% of what he said, so I mostly messed around with the guy next to me. DB: Anything else I’m not thinking of? JC: I’ve heard some places set up games of 100/200 people. If I go to one of those places I’ll let you know. Delicious Corn and Treats for the post paintball after-party? All photos and video courtesy James O’Claire. Thanks James!